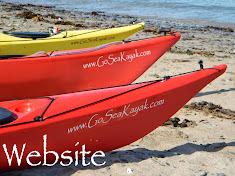 Go Sea Kayak Blog: Feeling I'm Being Watched? More of a test than a trip, it was meant to be a trip to Flat Holm but the forecaster fancied themself as a budding Michael Fish! Heres the outlook, Wind, Easterly, F1-4 becoming 2-4, 18-21 knot gusts. Sea state, wavelets. I would have said F4-5 easily? And the 14.2 metre tide was making things rather confused around Sully Island. You may notice the 'spot messenger' on my deck, thats the main reason for the trip today as I need to test it in preparation for my 'around Wales trip'. Click here for my tracked route. 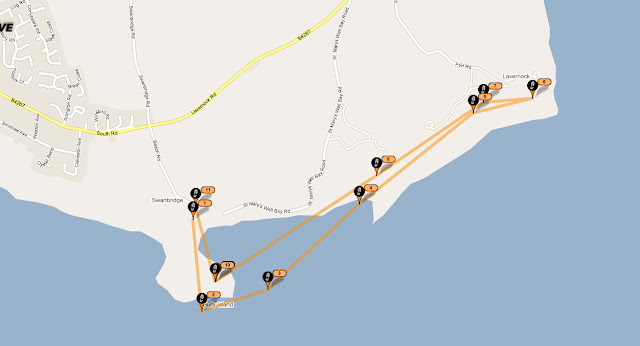 You'll notice how high the tide is as the map looks like a walking route (LOL).